I haven’t had Fruity Pebbles since I was a kid. I always loved waking up on Saturday morning to watch cartoons with a bowl of Fruity Pebbles. 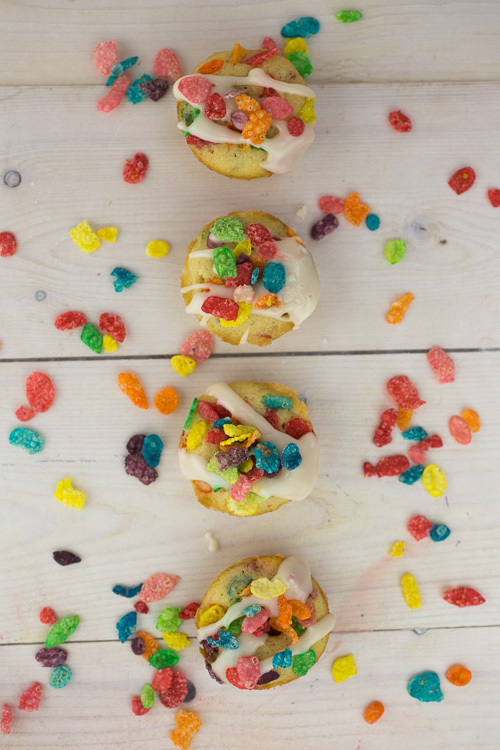 I wanted to add a bit of my childhood into our breakfast, so I made these Mini Fruity Pebbles Doughnuts this weekend. 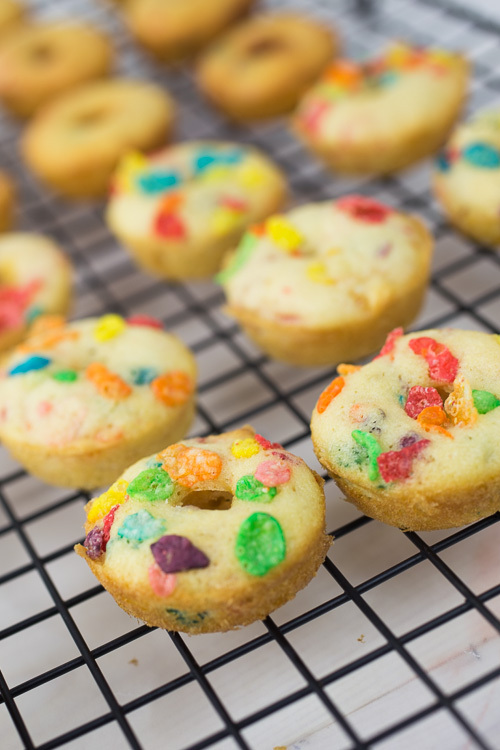 They were the perfect size for my toddler, who kept calling them “cookies.” They may look like a sugary, unhealthy treat, but did you know that Fruity Pebbles cereal contains 11 essential vitamins and minerals? Plus, it’s low in fat and cholesterol-free, making it a great heart-healthy choice for American Heart Month. I had most of the ingredients for this recipe at home, but headed to Walgreens to pick up a box of Fruity Pebbles. I love how convenient it is to run right in and pick up a box… I may have also picked up some Cocoa Pebbles! Ready to make some doughnuts? 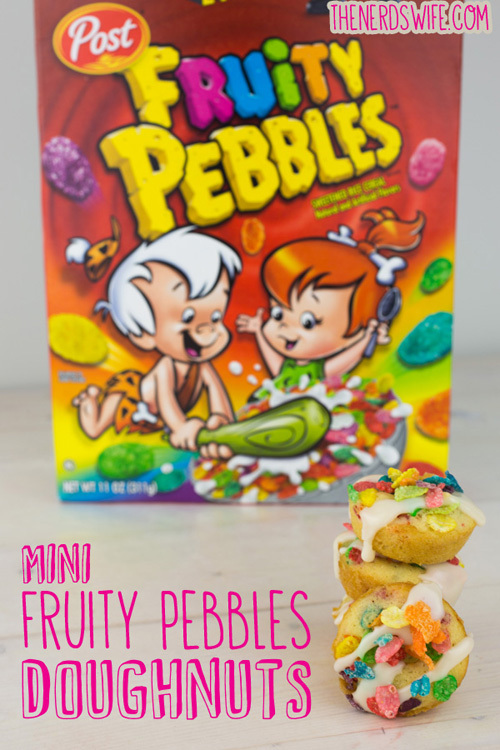 Head to Walgreens for some Fruity Pebbles, then get started! In the bowl of a stand mixer, beat together butter and sugar until light and fluffy. Add in the egg and mix to combine. In a separate bowl, whisk together the flour, baking powder and salt. Add half of this mixture to the butter mixture and stir together until just combined. Add in the milk and stir together until just combined. Add in the remaining dry ingredients mixture, and again, stir until just combined. Make sure you don’t overmix — the more mixed the batter, the denser the doughnuts will be. Lastly, stir in the Fruity Pebbles. Fill the cavities of a mini doughnut pan (I used this one) half-way full. Don’t overfill or the doughnuts will rise too high. I sprinkled a few extra Fruity Pebbles on top of the dough in the pan to add some color to it. Bake for 9 to 12 minutes, until doughnuts are a light golden brown and spring back when touched. Allow to sit in the pan for 5 minutes, then remove them and place on a cooling rack to cool completely. 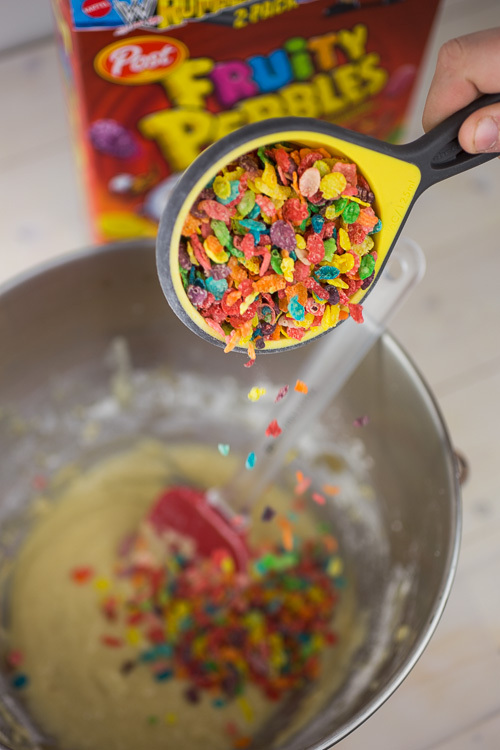 Prepare the frosting by whisking together all ingredients except Fruity Pebbles. Drizzle frosting onto doughnuts using a spoon. 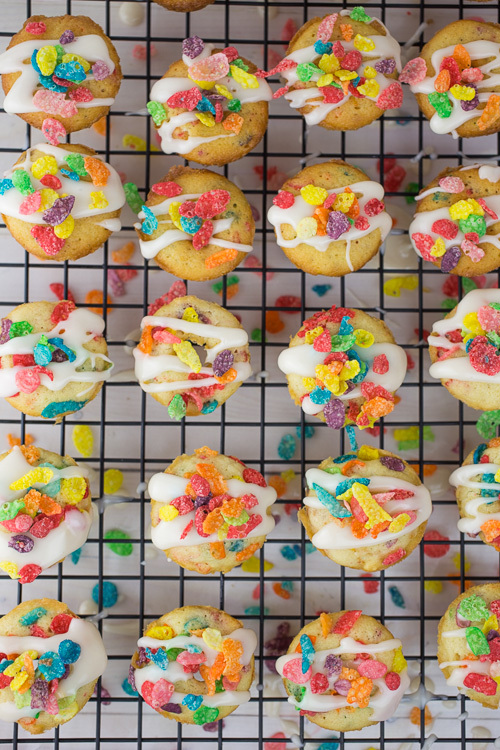 Sprinkle Fruity Pebbles on top of the frosting for an added bit of color and crunch. 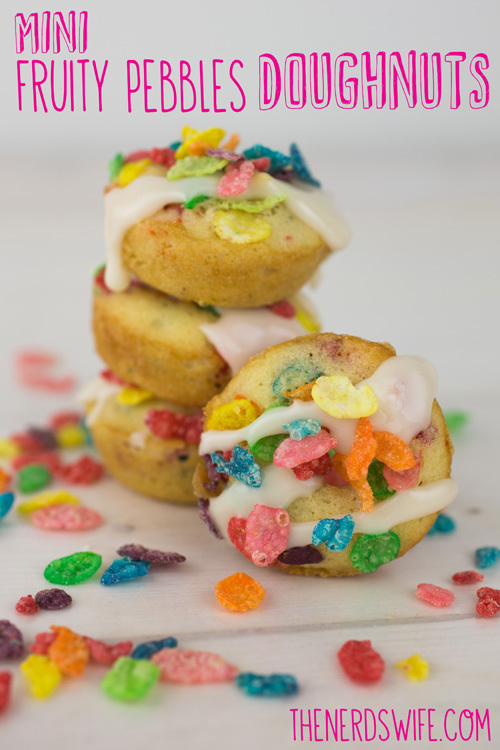 What’s your favorite way to enjoy Fruity Pebbles?